In this paper, I shall begin by looking at three different possible ways of interpreting the role of magical beliefs in relation to Buddhism. I shall then consider the evidence for the relationship between Buddhism and magic in the early Buddhist texts and early Indian Mahayana, then examine magic in early Chinese Buddhism and finally discuss the development of Ch’an/Zen in relation to magic. The Ch’an tradition is considered for its importance in East Asian Buddhist history, and because it clearly demonstrates a radical accommodation to, and eventual redefinition of magical beliefs. One way of interpreting the relationship of Buddhism and magical beliefs is to say that they are completely incompatible. In this view the law of karma is universal and unchangeable, and the following of the Eightfold Path, and progress towards Nirvana, are the only proper concern of Buddhists, and that magic plays no part in this ultimate concern. Although such a view is sometimes held by Buddhist apologists, in the context of the rhetoric of teaching Dharma, it is impossible to support such an interpretation in terms of Buddhist texts and history. Lance Cousins has identified the tendency to take what is true from the standpoint of ultimate truth, and apply it to the whole of Buddhism, rejecting what does not conform to it as, “ultimatism” (Cousins 1997 pp409-410). In this view of Buddhism, lay engagement, popular practices and the way Buddhism has developed in Asian cultures and history, tend to be downgraded or ignored. According to Cousins, there is a tendency is for exponents of ultimatist ideas, “…to reject ritual and superstition as later accretions to the pure original teaching” (Cousins 1997 p410). There is a close relationship between such an ultimatist position and the tendency to present Buddhism as a purely rational or even scientific teaching. The second is to acknowledge the importance of magical beliefs and practices, historically and in contemporary practice, but to see some contradiction between higher Buddhist practice and the beliefs and practices involving magical and supernormal powers. Spiro (1971) and Bechert (1978) adopt different versions of this viewpoint, and explain the co-existence of the two sets of belief and practice in textual, historical, cultural, and in Spiro’s case, psychological terms. In such a view Nibbanic and Kammatic Buddhism, as represented in the higher teachings and ultimate aspirations of Buddhism, is given primacy, though the sociological perspectives of Spiro and Bechert acknowledge the role of magical and “cultic” practices and beliefs. Spiro labels the use of Buddhist ritual chanting and the power of merit, for protection against demonic forces or energies, droughts or in exorcisms, as “apotropaic” (Spiro 1971 pp12-21). In a earlier paper I offered some qualifications and limitations to Spiro’s well known categories, but adopt them with modification in my own classification of Buddhist martial arts, which includes a section on magical practices in Buddhist martial arts traditions (McFarlane 2001 pp160-161, 163-165). The third view is to see Buddhism as incorporating a magical world-view from the start, and it sees Buddhist cosmology and soteriology as intrinsically bound up with and arising from such a worldview. Edward Conze (1975 pp 9-14) and Andrew Rawlinson (1986 pp135-153) both favour such a view. Before going any further, I should offer an explanation of what is meant by magic. I would define it as activity or ritual that intends to produce results without recourse to recognised physical agency or causal processes. In expounding his understanding of magic, Conze also offers a helpful expansion of this basic definition. It should not be thought that belief in magic is only entertained by traditional or agricultural societies. Bronislaw Malinowski has shown that both traditional and modern people resort to magic to reduce their anxiety. In modern societies it may not be used so much to alter external events, but as an emotional prop to reduce unease and restore confidence (Malinowski 1954 pp17-22). A good example of this kind of magical belief is astrology, which has an important role in traditional Buddhist societies, but is widely accepted in the modern industrial west. Such a ruling does not of course reject the reality and validity of supernormal powers, far from it, it suggests that such powers really exist. It merely tries to restrict their use. There is in the early texts, a lack of consistency, which seems to reflect an ambivalent or even conflicting attitude towards the use of such powers. For example, the Divyadana attributes the following statement to the Buddha, “A magical feat quickly wins over the minds of worldlings” (Ch’en 1973 p272). It is possible of course that the ruling prohibiting the performance of magical deeds was used to conceal the fact that later monks in Buddhist history could not do them anyway. Bernard Faure believes that the ambivalent attitude toward magic and wonderful powers tends to increase with the development of Mahayana Buddhism (Faure 1991 p104). I think he probably overstates this ambivalence. On the one hand, the great Bodhisattvas are described performing fantastic magical feats in the interests of saving beings; on the other hand, the logic of emptiness undermines such wonders and reduces them, like the rest of experience, to empty delusions. Paradoxically, this in itself is described as the true magic of the Tathagata, because unlike the false magic of the heretics it sees that all reality is but magic (Bhadramayakara quoted in Lamotte 1944-80 Traite… Vol 1 p16). So the supreme abhinna is the understanding of emptiness, which paradoxically negates all powers and claims to knowledge. And yet the Tathagatas and Bodhisattvas are the masters of a wide range of skills and powers in order to teach and save beings and lead them out of suffering and delusion. As Buddhism spread from India to other countries with established magical traditions, it had to be able to compete with and exceed the powers and attainments of the indigenous traditions such as Taoism, Shinto, and Shamanistic magic. It appears that a large part of the appeal of Buddhism in both China and Japan lay in the ability of the monks to offer greater magical power and protection to individuals and the state, than the indigenous methods. The reputations of the early Dharma teachers in these countries lay in their abilities as healers, rainmakers and exorcists (Ch’en 1973 p271-276). The monk Fo Tu Teng’s influence with the barbarian “Emperors” of North China in the early fourth century is well documented, and seems to have relied as much on his magical powers, and his ability to predict drought or rainfall and prevent epidemics, as on his skill in expounding Dharma (McFarlane 1994 p202). The demonstration of the efficacy and power of dharma, through the mastery of magic, is a discernible feature of Buddhism in India and China. The famous statement attributed to the Buddha in the Divyadana represents an early expression of the fusing of expediency with magic, “A magical feat quickly wins over the minds of worldlings” (Divyadana, quoted in Ch’en, 1973 p 272). Note also Kumarajiva’s reputed ability to swallow needles (Ch’en 1973 p 273). Apart from providing popular entertainment and material for magical tales and hagiographies, such powers, or the belief in them also has a serious role in protection and healing rites. The ritual/magical power of key sutras was employed by the rulers of China and Japan to ensure the protection of the state. The chanting of the Fan Wang Ching/Bommokyo/Brahmajala sutra) and other sutras was an institutionalised and officially sanctioned use of Buddhist Dharmic or magical power. It appears that the traditional Indian Buddhist view that jhana/dhyana mastery led to the acquisition of supernormal or magical powers was widely accepted in China. And according to the kao seng chuan (Lives of Eminent Monks) many dhyana masters seem to have initially pursued their practice in order to acquire supernormal powers. One of the factors behind the emergence of Ch’an Buddhism seems to have been a rejection of meditation as a means of gaining magical powers. But always this is predicated on a magical world view that such powers are available, if the right mental skills are cultivated. Some of the early Ch’an texts and masters simply argued that the true practitioner should not be motivated to develop them, since they were a samsaric distraction. For example, the supposed first Patriarch of Ch’an, Gunabhadra is described warning against those who use false methods of meditation to use demons and spirits to spy on people’s good and bad deeds (Chan 1985 p150, T. 85, 2837:1284a). There seems to be a thinly veiled attack on Taoist meditation and spirit control here. At the same time there seems to be the retention of the desire to meet the Taoist magicians on their own terms. For example the same text records that Gunabhadra learned Chinese in a dream in a dramatic encounter with a divine being. (Chan 1985 p148, T. 85, 2837:1283c). He also asks his disciples: “Can you enter into a water pitcher or enter into a pillar? Can you enter into a fiery oven?” (ibid, T.85. 2837:1284c). “If those who cultivate samadhi suddenly produce abhijna, they must reject them at once. Because they are defiled dharma, that is illusions” ( Chan 1985 p98, T. 48, 2016:497a). It appears that the Ch’an criticism of abhijna and powers was aimed not only at demonstrating its superiority over Taoism and indigenous Chinese traditions of magic, but at other Buddhist traditions, which rivalled Ch’an in China, and had developed magical rites of their own. The Cheng Yen or Mi Chiao Tantric School emerged in the T’ang dynasty as a serious rival to Ch’an, and had a particular appeal to certain courtier and members of the governing elite. Examples of the rejection of Taoism and its immortalist and magical goals are reflected in the following story from the life of Seng Chou. Though equipped with various powers of his own, such as his ability to pacify wild tigers and make springs of water appear, when a Taoist scripture appeared from thin air before him, he ignored him, thus rejecting the chance of becoming an immortal (Yanagida 1963 p61-62, Broughton 1988 p161). “That there is neither Dharma nor master is what is called no-mind (mushin). For those who understand like me, even the Buddha has no powers. He can only, owing to no-mind penetrate all dharma” (T. 50, 2064:94b & Dore 1914 Vol 7 p294). “You say the Buddha has six supernatural powers and that they are miraculous. But all the Devas, Immortals, Asuras, and great Demons have supernatural powers. Should they be Buddhas? Followers of the Way, do not be deceived. The Asura, beaten in his war against the Deva king Shakra, made his troops of 84,000 hide in the hollow stem of a lotus. But that does not constitute holiness. In one sense Lin Chi, by giving a Mahayanist emptiness based, demythologised reading of the notion of such powers, is re-defining the notion of supernormal powers into oblivion. On the other hand, this re-definition still acknowledges the possibility of “ordinary” supernormal powers at the provisional level of reality, but ascribes no great value to them. But the residual notion of a magical world view still persists even his radical re-definition. The same could be said of the similarly radical re-definition of magical power offered by the Japanese Ch’an/Zen Master Dogen (d.1253) who brought the Soto Zen practice tradition from China to Japan. 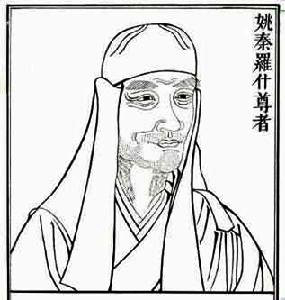 Dogen devotes a chapter of his Shobogenzo to a discussion of shentong (jinzu/abhijna). He contrasts the genuine superior abhijna of “orthodox Buddhism” (ie Soto Zen), with the “inferior” powers described by the heretics, Hinayanists and Abhidharma scholars. He describes the abhijna of traditional Buddhism, even the sixth one (i.e. knowledge of destruction of defilements), as belonging to the phenomenal realm, limited in time and space, and therefore from an ultimate standpoint, defiled. He says the true abhijna are beyond comprehension, because they are the ordinary activities such as, drinking tea and eating rice, cutting wood and carrying water. He goes on to contrast the lesser Hinayana iddhi of projecting water from the Buddha (a miracle once performed by the Buddha), with the great miracle of drawing water, which he then gives a “Dharma analysis” based reading of this process, in line with his radically immanentist Hua Yen (Kegon) influenced exposition of Zen, in which all dharmas interconnect, and interpenetrate and entail each other, with some astonishingly magical consequences. “An inferior miraculous power is a single hair swallowing the great ocean, a speck of dust containing Mt Sumeru, or one body projecting water and fire. The five miraculous powers (walking without touching the earth, mind reading, all seeing vision, prescience, passing through stone), the six miraculous powers are all inferior…Believers in those kinds of miraculous powers cannot even dream of real Buddhist miraculous powers… The teaching practice and enlightenment of all the Buddhas is actualised in their miraculous powers. Miraculous powers are present before there was a body, and their actualisation is independent of past, present and future. If there are no Buddhist miraculous powers then the Buddha seeking mind, practice, enlightenment and nirvana of all the Buddhas could not occur. The eternal ocean of the present unlimited Dharma-world constitutes Buddhist miraculous power. A single hair not only swallows up the great ocean, but also holds actualises, spits out and utilizes the great ocean. When a single hair swallows or spits out the entire world, do not think that is merely one unified event….A speck of dust containing Mt Sumeru is the same. It spits out Mt Sumeru, actualizes the present dharma- world and exist in the inexhaustible ocean. …those things take place in an instant and take place in eternity.The hair and the speck of dust spit out an instant and an eternity. How is this accomplished? Through miraculous powers. …All the Buddhas function freely within the sphere of miraculous power. It could be argued that the Mahayanist “higher magic of the Dharma” and Dogen’s Ch’an/Zen position of taking the reality of daily life and practice as the true magic, effectively demythologises or defines the notion of magic out of existence. Furthermore, one could argue that Dogen is expressing an extreme “ultimatist” position in which all that really matters in Buddhist is practice and enlightenment. But I would argue that this ignores the Dogen’s retention of his Hua Yen dharma analysis, inherited from his training as a T’ien T’ai (Tendai) monk in Japan. In this analysis, the mutual interconnectedness and interpenetration of dharmas seems to produce magical effects. Furthermore the elevation of the “drawing of water and gathering firewood” as the magical practice of meditative daily life, takes on the same quality of the earlier Indian Mahayana sense of Buddha-dharma as the higher magic. Declaring the Buddha-dharma or the reality of Buddhist practice as the true higher magic is not exactly the same as demythologising the notion of magic. Even Dogen does not deny the reality of lower order magic; he just doesn’t see the point of it. Having the powers and choosing not to use them is not the same as not believing in them even as a possibility. Despite the appeal of the ultimatist position to a rational, scientific mindset, or the appeal of a demythologised Buddhism to those of a modernist orientation; it is clear that traditional Buddhism clearly endorses notions of magic which are deeply embedded, and provide important material for teaching Dharma as well as aesthetic and rhetorical expression. [Newly revised Tripitaka of the Taisho era]. Tokyo: Taisho Issaikyo. Bechert, H. (1978) “Contradictions in Sinhalese Buddhism” in: Bardwell L. Smith (ed. ), Religion and the Legitimation of Power in Sri Lanka, Pennsylvania: Anima Books, pp 80-135. Chan, C.C. (1985) Zen Teachings. The Transmission of the Lamp. NewYork: Harper. Ch’en, K. S. (1973) The Chinese Transformation of Buddhism, New Jersey: Princeton University Press. Conze, E. (1975) Further Buddhist Studies, Oxford: Bruno Cassirer. Dore, H. (1914) Researches into Chinese Superstitions, trans M. Kennelly, Shanghai: T’usewei Press. Faure, B. (1991) The Rhetoric of Immediacy. A Cultural Critique Chan/Zen Buddhism, New Jersey: Princeton University Press. Kobori, Sohaku & Waddell N. trans (1970-71) “Sokushin-ki, by Shido Munan Zenji”. The Eastern Buddhist, Vol 3,2:89-118,Vol 4, I:116-123. Lamotte, E. (1944-80) Traite de la Grande Vertu de Sagesse 5 vols, Louvain: Institut Orientaliste. McFarlane, S. (1994) “Fighting Bodhisattvas and Inner Warriors. Buddhism and the Martial Traditions of China and Japan” in Buddhist Forum, Volume 3, D. Seyforth-Ruegg Felicitation Volume (ed) T. Skorupski and Ulrich Pagel, London, SOAS, 1994, pp 185-210. McFarlane, S. (2001) “Buddhism and the New Warriors. Eastern martial arts in western contexts” in: Contemporary Buddhism. An Interdisciplinary Journal, Vol 2, No 2, pp 153-168, December 2001. Nishiyama Kosen (trans. ), Dogen Zenji (1988), Shobogenzo, Tokyo: Japan Publications Trading Company, Ltd.
Rawlinson, A. (1986), “Nagas and the Magical Cosmology of Buddhism”, Religion Vol 16 pp135-153. Schloegl, I. (1975), trans. The Record of Rinzai. London, Buddhist Society. Spiro. M.E. (1971), Buddhism and Society, London, Allen & Unwin. This article is freely available on this website and is republished from The Mahachulalongkorn Journal of Buddhist Studies, Volume III, 2010, pp 35-46) with the Editor’s permission.